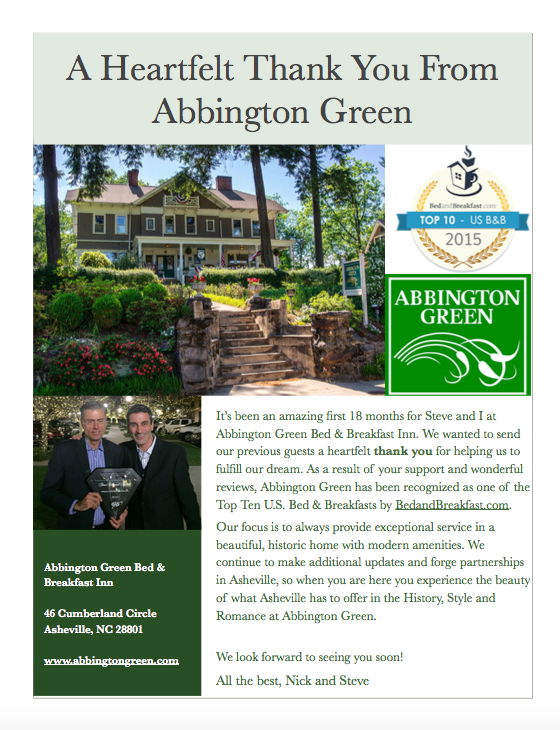 It has been an exciting 18 months here at Abbington Green Bed & Breakfast Inn. Thank you to all of our wonderful guests and friends for helping us to make our dreams come true. To read more information about the Top US B&B Award from Bed&Breakfast.com, click here.